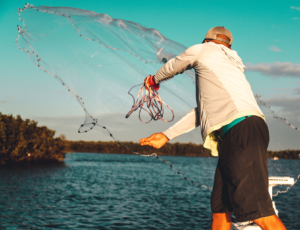 Almost all fishing gear requires proper care and maintenance, and cast nets are no exception. Here are the basic dos and don’ts of cast net care. DO: Let your net soak overnight in a solution of freshwater and fabric softener prior to using it for the first time. 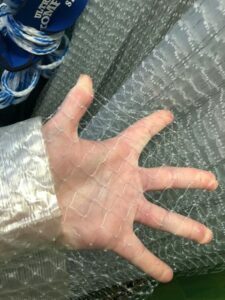 This will not only relax the netting from tight packaging, but will soften and lubricate the monofilament netting and braille lines. 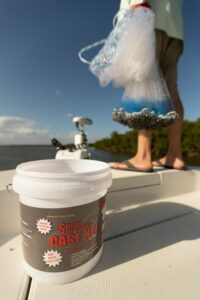 Nets can also be soaked in this same solution to get rid of any fishy odors after use. 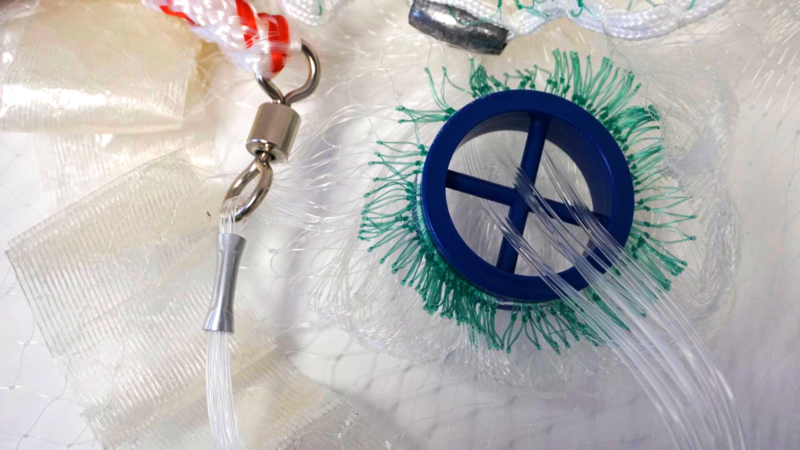 DON’T: Use harsh detergents or chemicals to clean a monofilament net. Since monofilament is a petroleum-based product, soaps can remove the petroleum and the oils in the net, making it brittle and weak. Avoid harsh detergents to clean your net. 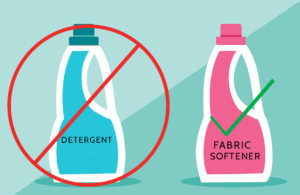 Condition your net in fabric softener as needed. DO: Inspect your net before each use for any cuts or tears. DON’T: Use a net that has any tears or holes in it. Further use of that net will only damage it more. Some prefer to fix the net themselves, others will send it off for repair, and some feel that it’s simply easier to purchase a new net. Preference depends on the fisherman. Always inspect your netting for rips and tears before each use. DO: Store your net in a cool and dry environment. DON’T: Expose your cast net to the sun for long periods of time. Extended periods of sunlight are harmful to the monofilament and will weaken your net. DO: Clean and rinse out any fishy residue with freshwater after each use. DON’T: Throw a wet and dirty net back into a bucket for storage. 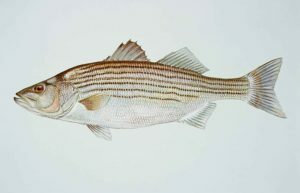 Slimy fish residue mixed with any moisture will create an ammonia-based substance that will eat away at your net. Never place a damp and uncleaned cast net back in the bucket. DO: Drape your net over something to dry or hang in a manner that the lead-line is still touching the ground. DON’T: Hang your net with the lead-line off the ground. This will tighten the knots, stretch your net, and remove the “broken-in” feel. 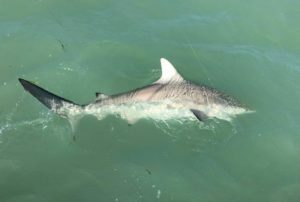 Looking for more cast net tips? Check out our Throwing Tutorial and Tips page for more info!